Our company is based in Matlock but we are a nationwide company with installations all over the country. 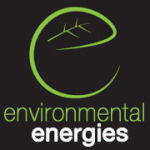 We specialise in Solar PV and Solar Thermal. Roof facing: South. Pitched and tiled. No shading and no windows on roof. Looking for a 3kw. Install within within 1 month. Contact anytime. Roof: East facing. Pitched and tiled. No shading. No windows on the roof. Install within 3 months. Contact anytime. Roof: South east. Pitched and tiled. No shading. No windows. Open to advice on system size and battery. Install within 3 month and contact anytime. Roof: Paddock south facing. No shading. No windows. Open to advice on system. Install ASAP and contact anytime. Open to the idea of thermal as well. Solar PV. South facing roof, pitched and tiled. No shading and no windows. Size system - open to advise. Work timescale within 3 months. Contact anytime. Have solar PV x2 systems total 3.76KW and 1,35kw 5.5kw need price for Powerwall 2 battery. Timescale within 1 month. Contact anytime. 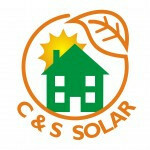 Check inverters and clean solar panels (14). Installed September 2011. Timescale within 1 month. Contact anytime. A string may have gone in the inverter. Approx half power. Panels difficult to reach as on third floor flat roof. Repair within 1 month. Contact after 7pm. Repair i boost and check if solar panels are generating correctly. ASAP. Contact: afternoons. Roof direction: not known. Pitched & tiled. No shading. 4 x Velux windows. Open to suggestions regarding system size. Install: ASAP. Contact: anytime. Roof facing south. Pitched and tiled. No shading. 2 windows. Open to suggestions regarding system size. Install within 6 months. Contact: anytime. Solar PV. North facing roof, pitched and tiled. No shading, has one dormer window. Size system - 24+ panels. Work timescale within 3 months. Contact anytime. Roof: ····· facing. Pitched and tiled. No shading. 1 x velux window. Wants 10 panels . Install asap. Contact anytime. Has a GO repeater fitted to system, seems to have failed since other people have installed air to wind unit. Repair.